Your MD400 keeps you in touch, enabling you to use the best available mobile service wherever you are. It supports tri-band Universal Mobile Telecommunications System (UMTS) and quad-band Global System for Mobile Communications (GSM). Where UMTS service with HSPA is available, your MD400 can connect at speeds up to 7.2Mb/s. Your MD400 provides automatic fallback to UMTS where HSPA is not available and to EDGE or GPRS service where UMTS is not available (network support required). This section describes the services that the MD400 supports. 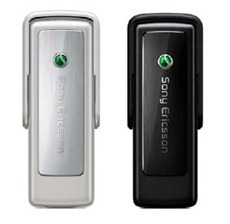 Your Sony Ericsson MD400 is a USB Mobile Broadband Modem. The MD400 has a retractable USB connector that is covered by the antenna when the modem is not in use. The MD400 has an expandable combo memory slot which accepts either M2 Memory Stick Micro™ or MicroSD™ memory cards. The MD400g contains a GPS receiver.